The photos below are linked from Ken's Mutt Page. They only serve as illustrations to vehicles mentioned on the main page. To view the original photo plus full captions, click on the appropriate image. 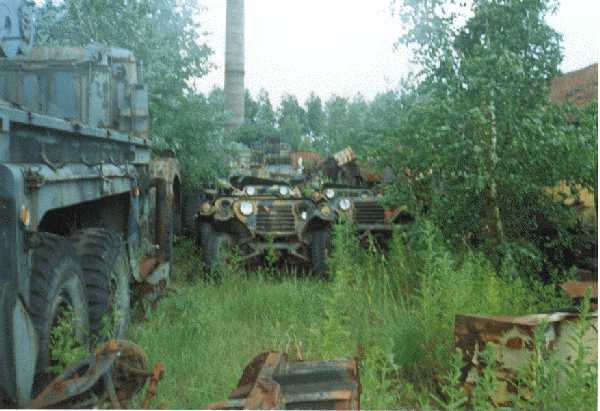 Remains of US Navy M151. An M151A2 FAV of the 26th Marine Expeditionary Unit, on its way back from a tour with KFOR in Kosovo. 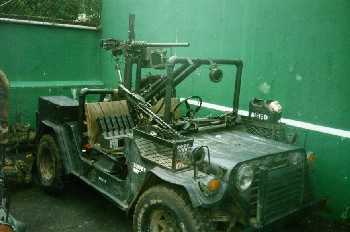 M825 with Hughes TOW ATGW. 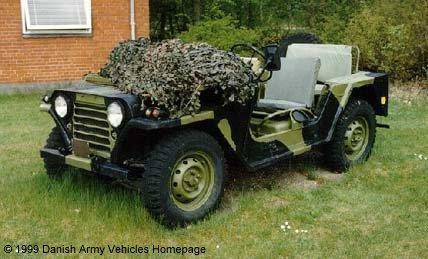 Ex-Chilean forces AM General model M151A2, now property of Alejandro Forch Moya of Santiago, Chile. Vietnamese M151A2, exported to France where it was restored. The photos below are linked from other web sites. Again, they only serve as illustrations to vehicles mentioned on the main page. To view the original photo plus full captions, click on the appropriate image. 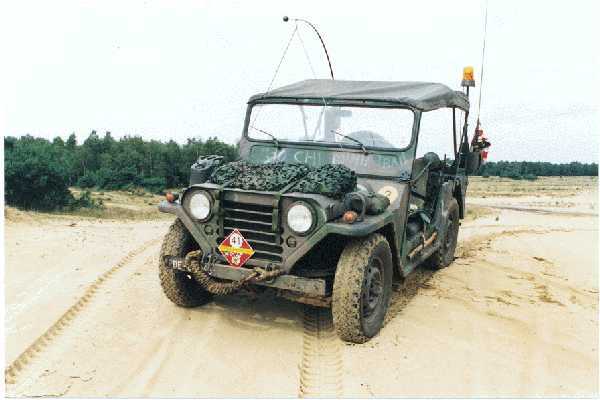 American Roll Over Protection System or ROPS. Jack Tomlin at Tooele, UT, USA has 40 available at $100 each. Photo by Larry Bowles: "My M151 during my LF6F Deployment With the 22nd MEU, Jan-Aug 1996. Picture taken in Liberia, Africa Operation Assured Response April 1996." 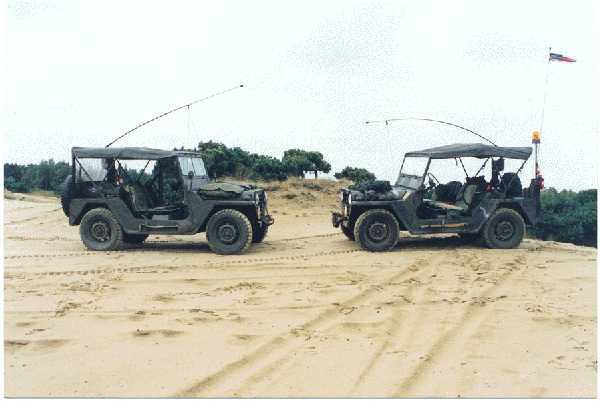 January 2000: "Marines from General Support Maintenance Company, 1st Maintenance Battalion, recently finished overhauling six M-151A2 Fast Attack Vehicles, scheduled to deploy soon with the 15th Marine Expeditionary Unit." 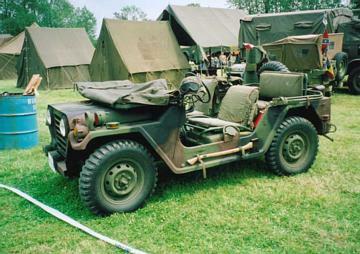 Gavin Broad's immaculate M151A2 at Beltring 2000. 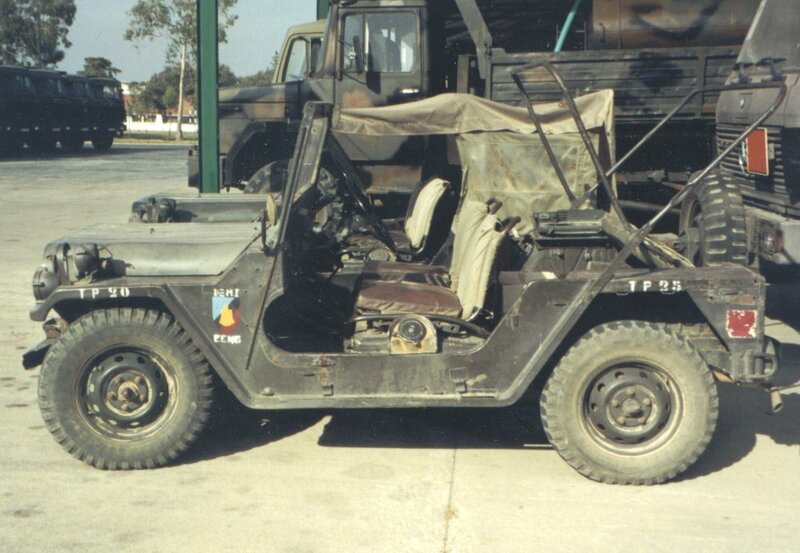 This picture, taken in 1999, picture shows an M151A2 painted in the Argentine Army two-tone scheme for dry zones. 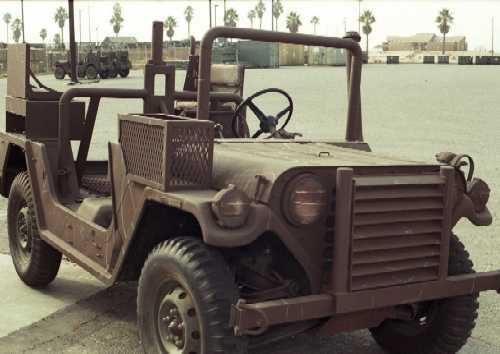 The light vehicles section on the Archivos Pesados site also shows a picture of an M151A1 in 1978, painted in a dark olive colour which was used by the Argentine Army until the implementation of a two-tone scheme in the early 1980s. 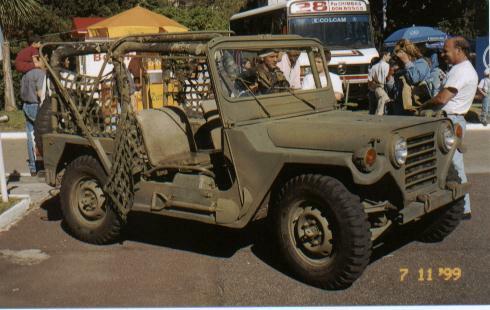 Mexican Army Rifle Mutts on Mutt Motorpool - note the brush guards. 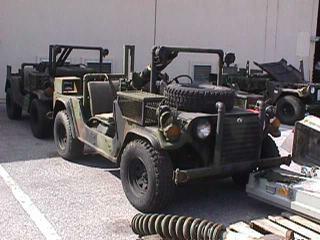 Eric Manders' M151A1 side-by-side with his friend's example. 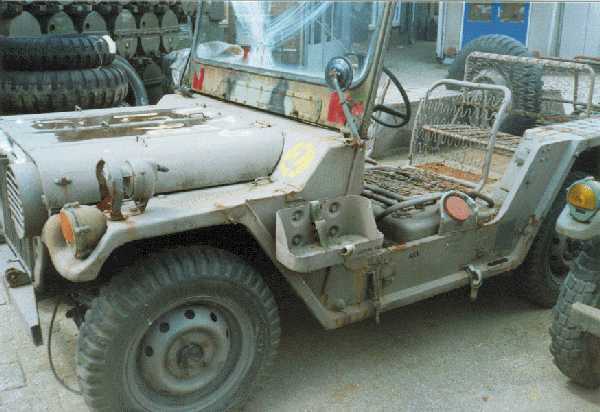 M151A2 in a surplus yard: "rusty and expensive", according to Eric Manders.